Woolston Wasps Holiday Club have had lots of fun already during the summer holidays. 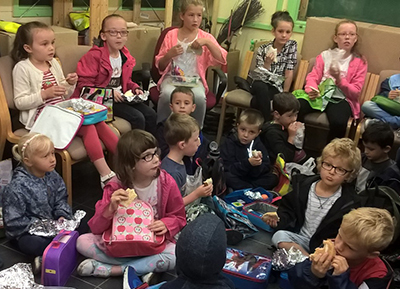 On 10th August the 35 Holiday Club children went on a trip to Woolston Park Rangers cabin. We were joined by members of the Tesco Community and Friends of Woolston Park who supported us with activities. The children made a green man out of leaves and they also looked at mini beasts. 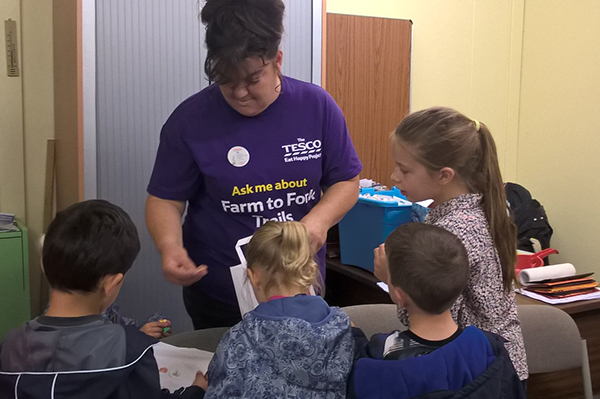 Tesco provided lots of fun stickers for the children to make a farm collage. As the weather was, of course, very wet, all the children and staff had a carpet picnic picnic in one of the ranger’s rooms, which was enjoyed by all.